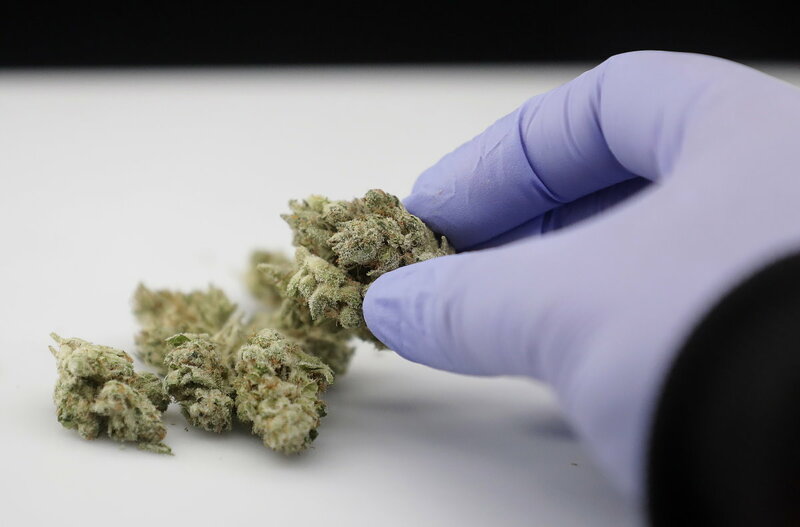 ST. GEORGE — While medical marijuana becomes legal in Utah Saturday in the wake of Proposition 2 passing earlier this month, Gov. Gary Herbert called for a special session of Utah Legislature Friday to address a compromise bill that if passed could overwrite the ballot initiative. Slated to meet at 10 a.m. Monday, the Legislature will consider the compromise bill that has been drafted by both supporters and opponents of Proposition 2. A longstanding argument of opponents to the medical marijuana ballot measure is that they consider it too broad in its application. In its current form, they say the new law and could have unintended consequences, such as creating a marijuana black market within the state while also harming the state’s youth. Medical marijuana supporters, such as the libertarian-leaning Libertas Institute, say the compromise bill addresses the concerns of Proposition 2’s detractors. Crafting the bill with stakeholders on both sides, including state lawmakers, ahead of the legislative session, is also seen as a way to help keep legislators from attempting to drastically change the compromise bill. Opponents of the compromise bill have called it an attempt to override the will of the people. Proposition 2 passed with 52 percent of the vote statewide, though it did fail in Washington County. 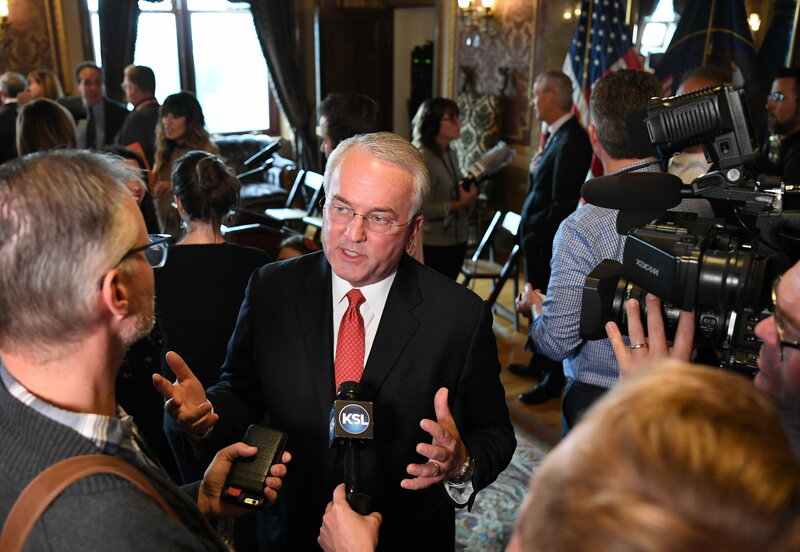 Proposition 2 supporters, namely the medical marijuana advocacy group TRUCE Utah, have also threatened a lawsuit against state lawmakers and others who helped create the compromise bill, including the The Church of Jesus Christ of Latter-day Saints. They argue the LDS church is using its political clout to unduly influence the Legislature in favor of the compromise bill, given a majority of the state lawmakers are members of the church. LDS church representatives have stated the church supports medical marijuana use as long as it is state-regulated, yet does not support how Proposition 2 would go about it. Rep. Rebecca Chavez-Houck, D-Salt Lake City, said she plans to introduce substitute legislation that, while making some technical changes to Proposition 2, would largely keep it intact, according to Fox 13 News. However, she also said the bill is a long shot and has asked the public to push their legislators to support Proposition 2 and not the compromise bill. Other matters the Legislature will address during the special session include mechanisms for funding ongoing construction of the new prison and legislation authorizing adjustments to state driver’s licenses to facilitate compliance with federal requirements for identification. I was looking at prices of the stuff on the website for the dispensary in mesquite. Holy God the stuff is expensive! Was the stuff that expensive when it was sold exclusively by drug dealers? It’s a plant that literally is a weed, so it grows as easily as a weed. If it was grown on an industrial scale it might be cheaper than wheat. The stuff never should have been banned in the first place. It is actually insane. Talk about a gov’t created artificial price bubble. Your ignorance of the subject is obvious. The prices are really quite reasonable considering the quality of the product. When sold by illegal drug dealers, the prices are just as high with no guarantee of quality. I cannot ignore the glaring hypocrisy of your comment compared with what you claim about prostitution. Illegal drugs are a magnet for other crime. So, why don’t you oppose its legality like you oppose prostitution. Precisely analogous. I’ve never bought weed so I suppose I’m not at all very knowledgeable about it like you may be. $360 an once does not strike me as a bargain. Can a person using it daily make an ounce last a month even? Two weeks? One week? I’ve no idea. How come you’re always in automatic attack mode, chris? You’re such an angry boy. I said prostitution is a magnet for other crime. Where you find prostitutes you’ll usually find hard drugs. It seems to be the nature of the game. I don’t consider weed a hard drug at all. The year was 1970 – Mexican was going for $10.00 an OZ. A “three finger lid”. You’d have to smoke the whole bag though! nah / jk However nothing close to the stuff they sell now I see. Rumored was “Thai sticks” which where flower buds tied to bamboo shards, wrapped with bamboo strings. This was the Vietnam era and that stuff was supposed to be the best IIRC and much more $$. This about the time Arlo Guthrie was serenading that tune about flying a couple “keys” into LAX ha ha. No, the prices are not “reasonable”, lol. If a person were to buy a seed of known good genetics, and grow that seed in their outdoor garden, it’s quite possible that other than a little fertilizer, a lot of water over the growing season, and some routine pest maintenance one seed is capable of easily producing a half a pound to maybe a pound of dried flower. Now, not all seeds would end up being female, so a person might need to grow six, then maybe end up with three females. All the leaves of both plants can be further used by drying and then extracting the active ingredients with the use of fatty oils, or strong alcohol. So really, one plant is capable of producing a lot of “edible” type medicine, as well as the more popular “flower” medicine. Again, the “quality” is in the predetermined genetics of the seed. If a person can grow a tomato to fruition, marijuana would be a walk in the park. So, let’s say a person buys $100 worth of seed for the year, ends up with three female plants that produce eight ounces of dried flower per plant, then spends $200 the rest of the year on fertilizer and bug sprays (which is a ridiculously high amount) that’s about $300 invested for 24 oz. That breaks down to about $12.50 per oz. So please explain how more than $300 per oz. of the same genetically grown plant is “reasonable”. In all honesty, it could probably be grown for much less outdoors……..but it might cost you your house, all your possessions, your kids, your wife, your moral upstanding in the community, etc. Is that what makes the price reasonable, maybe? Went through Mesquite to watch a movie (long story) and we thought we would drive by and look into the new dispensary there, check out the product and prices in person. No intention in dropping any tall green. So, before the movie an app (yelp or google?) was telling us “busy at this time”, let me tell you, the line was out the door and about 15 deep. We didnt even get out of the car. At the end of the movie, it was even busier. So a heads up for heads, “Early bird gets the worm”.. BTW it was an incredible property. I dont know if they grow it there or what, it’s two humongous buildings with serious security. Just down the road from Lee’s liquor. This sounds like California. The people democratically vote and pass an initiative and the ruling party who doesn’t like it either goes to the courts or legislature to undo what the people wanted. 42214, you are 100% correct my friend, especially in California. If the Politicians want it, it WILL happen, if the Politicians don’t want it, it WILL NOT happen. Plain & simple, been that way for decades. The general population has no say so whatsoever in the lawmaking process. We just think we do because Hey!, we went out and voted !! By ruling party, you mean the COJCOLDS Party, I presume? Political manipulation by a religious institution that pays no taxes. Governor Herbert is doing this, not for the people of Utah who voted for this proposition, nope. He’s doing this for his Church. PERIOD. No doubt about it. Makes me sick. The Church has no right to do this. The people voted. It’s done. Laws against marijuana are a disgrace to begin with and just as stupid and misguided as alcohol prohibition was. Lives are being ruined and money is being wasted by prosecuting the use of a plant. Anyone who is against it has never tried it and simply don’t understand how much of a non-issue it really is. I thought that once something was voted on and passed, it was pretty much set in stone. How can they introduce a compromise bill legally and change what was already voted on? Who gets to decide if this compromise bill passes, do we vote on it again, or is it just the higher-ups that get to vote on it? Legislation can always be ammended. The Proposition officially became law, though I am uncertain when it becomes applicable, and the special session is an attempt by the legislature to ammend it. I’m not aware of any minimum time limit before a legislature can ammend a bill so it seems legit. Willing to hear someone with more legal expertise explain otherwise. No, we do not get to vote on it again unless it goes through the Proposition process again, which is unlikely. Its the reality of our republican structure as a country, ie not direct democracy. Who gets to decide? You know who. A group of twelve very old, angry, and out of touch men. That’s who. The only thing Set in Stone is the Seer. Goes to show just how much your vote counts here, huh? The LDS church has concern for how Prop 2 will impact the youth – and very rightfully so. I know first hand the negative impact that marijuana can have on our youth. If any of who are so set on the idea that marijuana does nothing to our teens, had the experience of having a teen with a cannibas use disorder (more or less addiction), which then also lead to other drug use, your perspective would be very different. Just the same as those who are saying that our perspective would be different if we had a teen with a physical ailment. We all form our opinions based on our own personal experiences, and the LDS church is trying to find a middle ground to accommodate all sides. They support marijuana medicinally, as do I, but not with the loop holes of Prop 2. And yes there are risky loopholes. There needs to be compassion on both sides. Compassion for those who are struggling with pain and physical ailments, and compassion for those who are battling everyday to overcome marijuana addiction. It is real! As a side note, marijuana will not impact adults in the same way that it does teens and young adults. So if you’re an adult recreational marijuana user, please don’t try to compare your marijuana use with a teen/young adult – it’s different. Again, before I start getting blasted and told how wrong I am, I want to restate that i am not against medical marijuana, but I am against all of the potential dangerous risks of Prop 2. Yes – the LDS church’s stance against Prop 2 is ALL about protecting the youth, and I am extremely grateful that they care enough about these young people to take a controversial situation and attempt to make it SAFE and HEALTHY for all sides. Dear Mr Thoughts. First off , the impact of illegal marijuana already exists in Utah. So your concern for the youth etc is not only overblown but irrelevant at this point. The legal availability in both Nevada and Colorado also exacerbates this point. If people under 18 want to get it, they can and will. You have forgotten this is about medicinal marijuana and anybody selling their medicinal marijuana to the youth will be subject to the same penalties as somebody selling their pain killers etc. So your argument Mr Thoughts is based on religious bias and ignorance as well as a naive a d thorough lack of awareness regarding the current reality. In fact medical marijuana may put some illegal drug dealers out of biz if they only sell pot. The truth, let’s be honest and real, is about an LDS religious doctrine which is against the use of specific innebriants, while hypocritically condoning the use of legal psychoactive drugs manufactured by big pharmaceutical companies. As an example, Scientologists are not hypocritical in this specific regard. What is at issue is a religious institution wirh its members in key State government positions using undue influence to override the majority of Democratic voters in this State, including some of it’s own members that voted for the proposition as well, in order to reverse the will of the people. Two conclusions can be drawn from said unscrupulous behavior. #1. The American people should not trust a Mormon to be elected President of the United States as said politician is subject to the will and influence of the prophet/leader in charge. #2. LDS Church Is manipulating the Democratic process thus disregarding other religions, and undermining the separation of church and State. Hope that maker’s sense Mr Tboughts. Thank you for your thoughts and concern, but my opinion is not based on being naive. I have lived with a child for the past two years, who has a cannibas use disorder. I’ve heard all of the arguments. I’ve studied marijuana. When something so negatively impacts your child, you will find all of the information you can about it, so you know how to help them and how to better understand. I will again restate that I am not against medical marijuana. I am against some of the loopholes that Prop 2 has, which could cause and exacerbate continued problems with youth marijuana use. My opinion is based on my real life experience. I believe the best solution here would be to create an all new commission and appoint all your friends, relatives and fellow church members to oversee it. That always works. Gov. Gary Herbert needs to go! How is it legal to change a bill after it is on the ballot and voted for because the “powers that be” don’t like it or the people who donate the most to you are unhappy with it? CORRUPTION! Thank you , Governor Herbert, for proving that. The next time your name comes up on any ballot, I will ensure that my vote goes to literally anyone else. Its a double edged sword though. I agree with most of Prop 2 and voted for it. That said, it did strip private property owners of some freedom in how they handle tenants by prohibiting action based upon medical marijuana usage (or simply being an Rx holder). As such I do think there is some valid argument to be made regarding their special session protecting freedoms, especially given our country’s foundational tenets on private property rights. O gee golly B&F, stretching it. 1:50 000 chance , you will see lawsuit in Washington County from a tenant that uses medicinal marijuana. Same issue with nicotine cigarettes if you think about it as well. So put “no smoking”on the rental application. That issue was drummed up by an LDS based proxy lawsuit from a guy if I remember correctly owns a pharma company to block the proposition prior to the election. Surprised an intellectual as yourself bought into that. Private property rights issue on this is a metaphorical smoke screen. Duh. When you get down to legal minutia, you fail to see the big picture, which is the fact the people of Utah voted in favor of this proposition and now it is being subverted at the behest of an organized religion. Man up! You might want to actually provide evidence against the merit of the issue instead of detailing it so superficially. First, I voted for it as is including the infringement of private property rights. I was willing to accept the Proposition as is with such a compromise. That said, AnnieMated used the quote that a “legislature can trample a mans rights” and in doing so brought individual rights to the forefront. Its logically consistent and intellectually honest to highlight that the Proposition tramples on individual rights as designed. We are capable of holding conflicting realities in arguments and not becoming as binary as the argument you just espoused. Law and legislation in general comes with trade offs all the time and this is sincerely one. If we can’t admit that fact than how do we expect Mormon’s to admit the more diffuse, but largely accepted (including myself), accusations of their church crossing the “separation of church and state” threshold which is a metaphor not found in the Constitution? To recognize a fact isn’t to forfeit the battle. Good retort B&F, now that’s more like it. For your proof of crossing the line of separation of Church and State, simply start local. Just go to a Santa Clara city government meeting and listen to the very specific prayer service involved prior to civil discourse. It would make a fun field trip for you, although you will likely be 1 of 2 or 3 people in the audience. Hopefully you are not an atheist, Muslim, Satanist, or Agnostic as you may feel uncomfortable at best and offended at worst. But to get to the point, the property rights issue is truly a trumped up non issue, and for the proof look at other medical marijuana States. But the point here, rather then going off on a legal tangent, is that an elected governor is caving in to a religious institution,( rather than supporting the will of the people ), that has a solid track record of intervening in the political process, of not only the State of Utah, but other States as well. The truth, and this can be seen in the context of the religion of Scientology and their getting tax exempt status decades ago, you can game the “seperation of church and state system” until it goes into the judicial realm. The LDS church in this case is simply pushing their agenda and doctrine on all of us and like the good ole days, the ends justify the means – because they can do it , i.e. get away with it. But I will say this, such behavior, will backfire over time, and the world has changed. I regret voting for Governor Herbert. To make it clear, the role of the LDS interference in state and local governance is clear to me. No argument from me there as an agnostic. But you are trying to circumvent a real issue with generic rhetoric. Saying its not an issue doesn’t make it so, especially in a conservative state with a strong emphasis on property rights and individual liberty. The issue is real especially given its still a schedule 1 substance according to federal law. Its a nuance that matters. Is it important enough to allow a potential trojan horse into the legislation? That is a worthy question but it means taking the private property issue head on and addressing it. Take the reality that Prop 2 will eventually lead to tenets being able to grow their own plants. At the state level tenets with Rx marijuana permissions would be a de facto protected class but federal law still supercedes that reality. And ultimately that creates a legal conflict for property owners who could be held liable for activity (ie schedule 1 plants) on property. I mean we have a POTUS pushing us backwards on the issue and could very well use marijuana as one of his many wedge issues/strategies. And do you think a state legislature and attorney general who aren’t bought into the law are going to use any resources to help protect it’s citizens caught in that legal snare? You can fundamentally disagree with Herbert and their choices right now but they do have some valid legal arguments on their side. One is definitely the conflict between private property owners and the defacto protected class this law weakly creates. We should be able to debate those realities in depth. I think Herbert made an error in doing this as he wasting his waning political capital. He has every legal right to do what he is doing. He and the legislature have the justified ability to amnend legislation. In fact, it highlights one of the flaws of citizen propositions (just look at how few people knew this was a legal and likely outcome), especially ones that barely pass with a majority nonetheless miles away from plurality. While the proposition comes with a weak mandate (voice of the people) it still looks like a bad faith move on the state’s part to change it. I think that reality ultimately favors Herbert’s opponents. He has chosen an unpopular route just a few years before any re-election attempt. I think it hurts him or his republican replacement in a position that has been more moderate/centrist in the past (Huntsman). Yes, no disagreement the legislature and governor can override the proposition, it’s simply not right to do so at the behest of 12 +1 LDS church officials. Which we all know is the case. Have you seen a lease agreement these days? I have. So such issues as growing marijuana on the property, as well as having cats by the way (be surprised on how many rentals forbid cats!!! Or have mega feline damage deposits if they do accept them) a private property owner can mitigate said issue. Now there are exceptions and in theory a preexisting renter could sue to have their MJ etc… but not going to happen, especially in Utah, California maybe as lawyers are everywhere. But truly a non-issue bogey man legal smokescreen to justify a Mormon led political neutering of the proposition. And no doubt we can agree to disagree. Sorry that comparing other States with Medical marijuana is not proof enough that it is a non issue. Is it a legal issue with validity in terms of law?, Yes, of course, but easily mitigated through legal stipulations in rental agreements. Now you can argue it opens up a potential lawsuit liability, but my guess the Utah courts would rule in favor of the property owner. End of story. Looks like a dog, barks like a dog, it’s a dog. How’s that for a generic conclusion. Let’s move on by the way. I think you are missing a critical bit of information. Prop 2 as passed made it so landowners can’t legally discriminate against applicants or tenants based on medical marijuana usage. So any contract that puts a stipulation in about banning such use is dubious at best. The state courts could only rule in favor of the medical marijuana user (A) (ie the de facto protected class created by the new law) or rule that Prop 2 is unconstitutional (state level) in this regard (B). The state courts have zero role in federal prosecution though the state could help fight against what they consider federal over reach (they won’t). Either way the issue of trampling private property rights is real. One outcome just believes its acceptable collateral damage. As someone with property this a real issue to consider. And its not comparable to pet or tobacco smoking policies as thosr don’t infringe upon or discriminate against protected classes. I recognize you disagree with using this as a political tactic but that doesn’t mean the issue doesn’t have legal merit. And I believe laws should deal with unintended consequences head on in design, which is why legislature exists. PS….the issue is talked about heavily in California and Colorado. Plenty pf law firms discussing this unintended outcome of new laws. For the record I do not smoke nor consume Marijuana. Nor do I condone it. Rather it is a personal choice. It has known medicinal qualities going back 5000+ years and was used for religious purposes by the ancient Scythians.